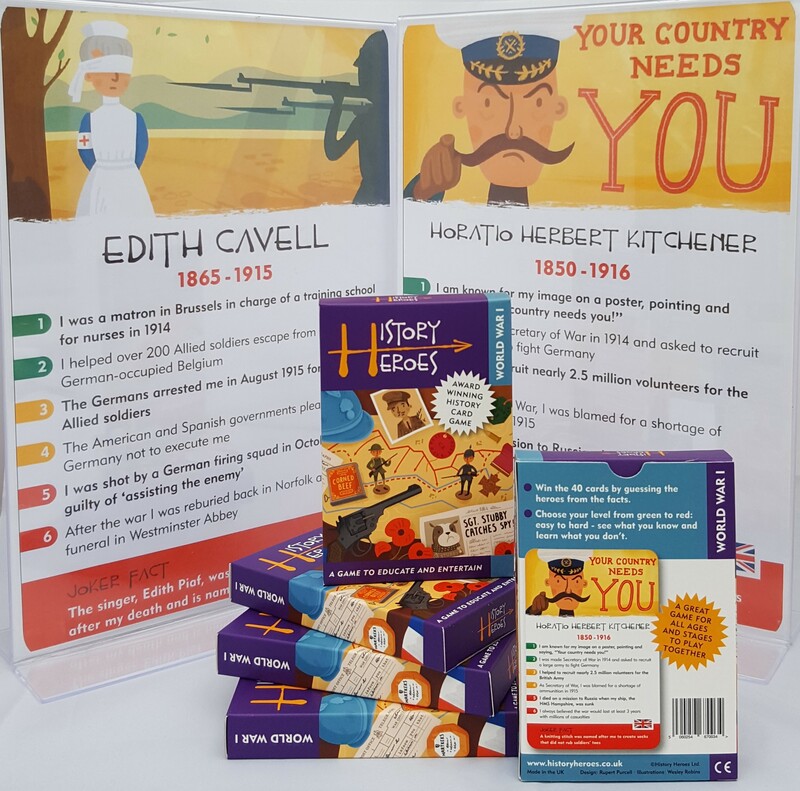 View Cart “History Heroes: CHILDREN in History quiz card game” has been added to your cart. 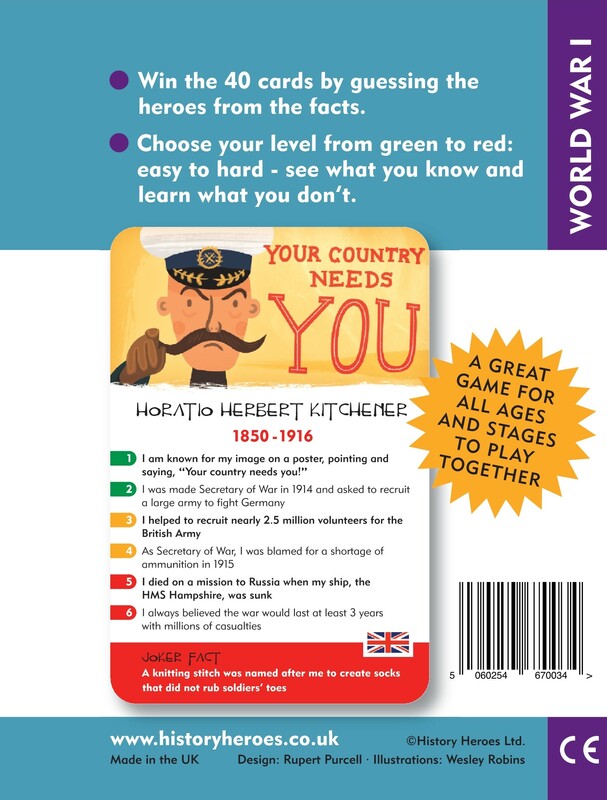 History Heroes: WORLD WAR ONE quiz card game: Our World War One pack contains individual cards of History Heroes’ forty greatest World War I Heroes. 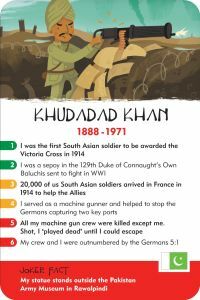 Each card is fantastically illustrated to represent the specific World War One Hero and shows their dates, their flag of birthplace and seven memorable and often moving facts about them. 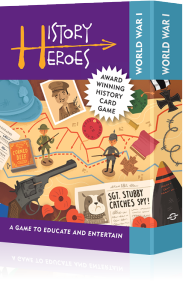 There are many different ways of playing History Heroes’ World War 1 Heroes and you can make up your own rules as long as everyone playing agrees to them! The aim is simple: you win the game by winning the cards and you win the cards by guessing/knowing the facts. You can use the images as clues and you can use the different levels of facts to make it as easy or as hard as you want to play the game. You can also play the game at different levels within the game so that all ages and stages can play together. The green facts are the easiest working down to the red facts, the most difficult. You can, of course, use the joker fact at the bottom, too, to overrule them all! I love these games. I have given them to my God children and love reading the cards myself. I’ve learnt quite a few new facts on a range of subjects. 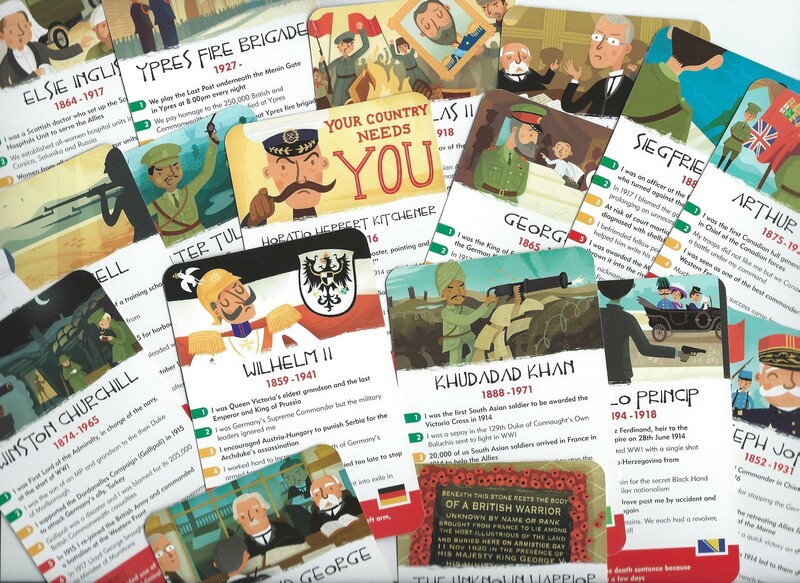 So thank you to History Heroes – great game and beautifully packaged. Well designed, colourful and easy to read. A very good present for an inquisitive mind. Loved this game. Spent quite a lot of time reading the cards before even playing the game – so many astonishingly courageous and heart breaking facts! Dragged my children from their phones and got them to play and they became completely gripped. My 12 year old now impresses every unsuspecting visitor with Winston Churchill’s joker fact! Id like to say thank you for helping to make our Christmas holiday fun. My boys love your cards. They are printed on good quality card. The graphics and colours are great. My oldest loves the Joker statement at the bottom. I can see these card getting well used over the coming weeks and months. 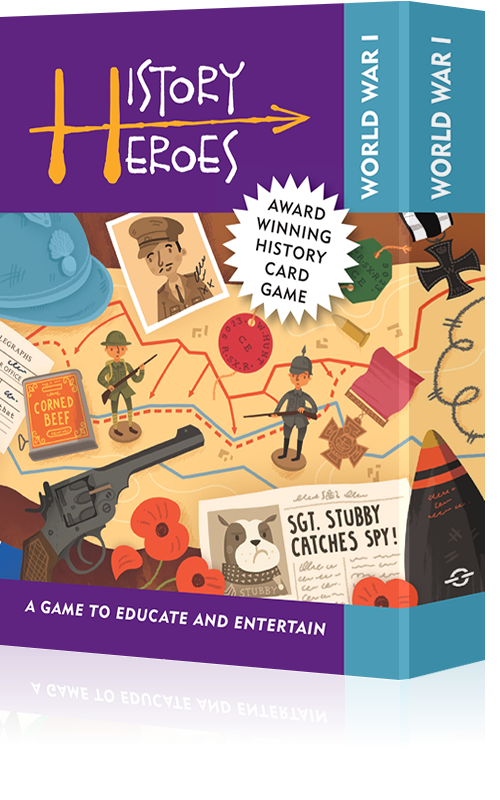 As a home schooling parent I think theses are not only great fun but they are also a wonderful educational tool. I cannot wait to see what else you have in store for us in the future.